Nike has revealed a pair of $350 'Back to the Future' sneakers with 'power laces' controlled from a phone. 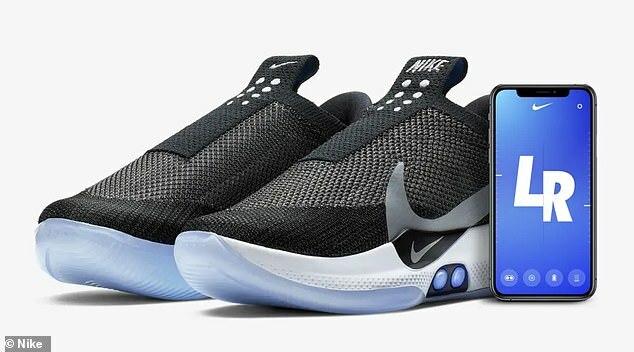 The new Nike Adapt BB are specifically designed for basketball and automatically tighten or loosen with a press of the button either on the shoes themselves or via a smartphone. The range will initially go on sale only in the US for $350 dollars (£272), on February 17th - although they are expected to sell out instantly. The tensile strength of the underfoot lacing is able to pull 32 pounds of force (roughly equal to that of a standard parachute cord) to secure the foot. 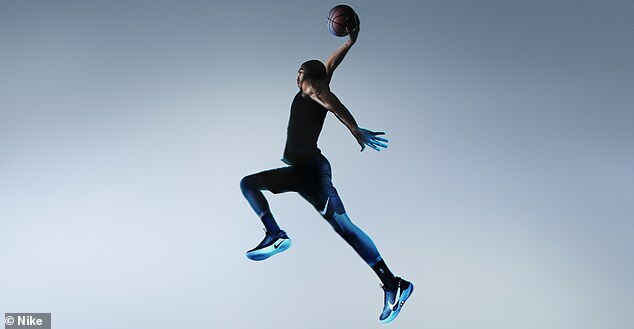 To finalise the design, Nike's design team invited an elite group of professional players, including Boston Celtics small forward Jayson Tatum, to Nike World Headquarters in Oregon for a run of workouts and pickup games, putting the shoe through an exhaustive trialing period. 'Being one of the first athletes to wear the shoe and being picked as a representative of the future of Nike basketball means a lot,' said Jayson Tatum. 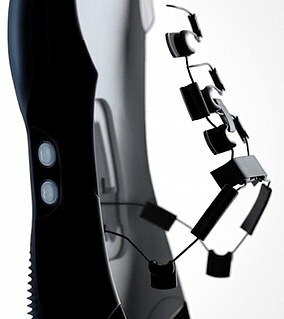 Users can programme different settings that dictate on how the laces are tied, such one setting for playing a basketball game and one for just lounging in. Earlier this week Nike teased the self-lacing basketball trainers, which the company has suggested will be controllable from a smartphone. 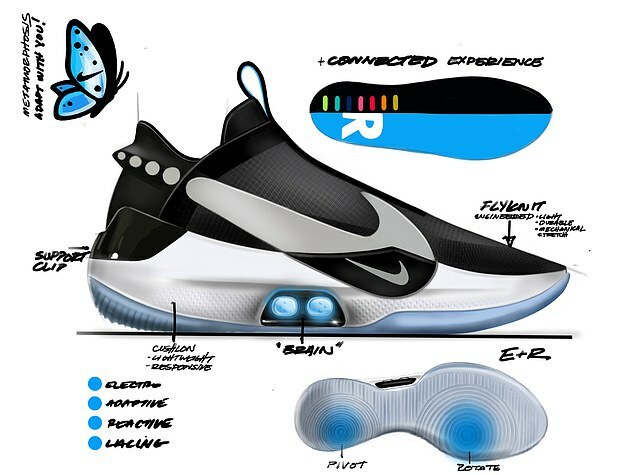 The firm previously launched a limited edition pair of self-lacing shoes inspired by those worn by Michael J Fox's character Marty McFly in the 1989 film Back to the Future Part II. 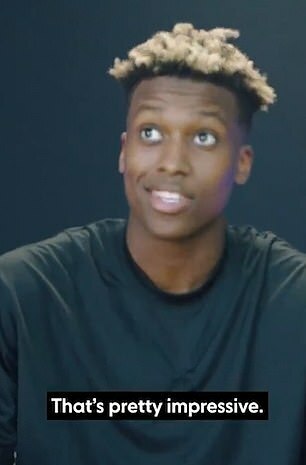 The video shows Sacramento Kings player De'Aaron Fox using an iPhone and at one point asking 'so, I can connect this to my phone?' before appearing to tie one of the shoes via the device. Nike revealed just a few months into 2016 that it would finally be bringing Marty McFly's iconic sneakers to life, just a year after Back To The Future predicted. 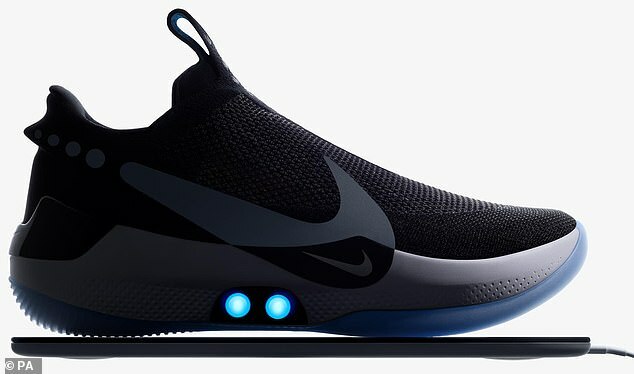 The company unveiled the Nike HyperAdapt 1.0, which automatically tighten when the wearer's heel hits a sensor. Michael J. Fox, who played the beloved character in the film franchise, was gifted the first pair of self-lacing Nike Mag shoes on Back to the Future Day, October 21, 2015. 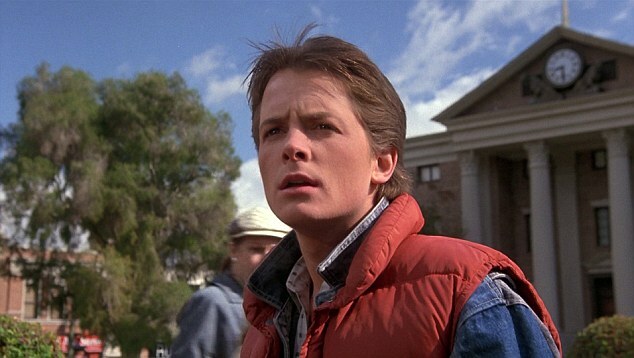 During Back to the 1989 film Future Part II, Marty travels to October 21, 2015 and puts on a pair of Nike High Tops that automatically tighten and adjust to fit his feet - using so-called power laces. A photo of the 54-year-old actor trying on the first pair of the Back to the Future-inspired sneakers was shared on Twitter on Wednesday afternoon by the Michael J. Fox Foundation For Parkinson's Research. Nike released a limited range of McFly's Nike MAGs with manual laces in 2011, and earlier in 2015 - the year Back To the Future II was set in, Tinker revealed the power laces would arrive soon after.